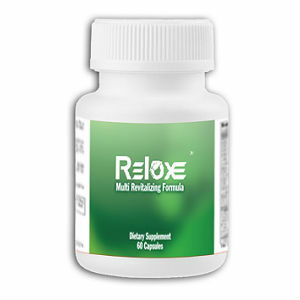 This is a review of Relox Natural Hair Regrowth Supplement. The makers of this product claim it will help re-grow hair. They further claim it will make skin and nails look better. To learn more about Relox Natural Hair Regrowth Supplement’s ingredients, which ones are active and how they can help you see results, keep reading. The active ingredients in this product are the vitamins; A, B6, B12, C, D, and E as well as biotin. The combination of all the ingredients forms a formula which is known to combat hair loss and promote new hair growth. It is recommended to take one tablet twice each day, with food and water. The makers claim there are no adverse side effects. It should be noted if you are allergic to any of the ingredients you should not take this product. Signs of an allergic reaction are dizziness, vomiting, or trouble breathing, if you have any of these when taking this product discontinue use immediately and see your physician. The price for a bottle of Relox, which contains sixty capsules, is $25.00. There are discounts when purchasing more than one bottle at a time. Shipping and handling are extra. There is a conditional guarantee on Relox, the purchaser must continue to use the product for four months, if unhappy with the results after the specified amount of time, the purchase price will be refunded after the unused portion of the product has been returned. There is a restocking fee of no more than 15% of the amount of the original purchase price. No shipping or handling charges will be refunded. Relox Natural Hair Regrowth Supplement contains ingredients which have been proven to combat hair loss and aid in the re-growth of hair. Along with the benefits of improved hair health, this product aids in the improvement of skin and nails. The vitamins and minerals in the product serve to make improvements in health overall. It should be noted pregnant or nursing women should talk to their physician before taking this product. If you are taking medications of any kind, you should also consult your physician before taking Relox Natural Hair Regrowth Supplement. The lack of reviews on the website was noticeable. After research, no consumer reviews were found. It is unknown if this is a vegetarian friendly supplement or not as the complete list of ingredients, including those of the capsule, where not listed on the website or anywhere else. If this is a concern of yours, there is a place to contact the makers to find this information out before you make a purchase. Research also could not find where this product is manufactured. This product takes at least four months before results can typically be seen. John Brownstone	reviewed Relox	on August 3rd	 and gave it a rating of 3.